When making a major appliance purchase it is a good idea to take a look at product reviews of the brands you are interested in. This is a guide about Bosch front loading washer reviews. I bought the Bosch 300 front-loading machines and would like to inform others to beware of this machine. It is less than one year and the pump malfunctioned. I am completely annoyed with this machine. It has no signal off button so you get to hear the beep for at least an hour if you don't turn off the washer dial after it runs. Bosch uses suppliers out-of-state, I have to sit here for over 2 weeks waiting for a defective pump to arrive from 1800 miles away because Bosch is too cheap to have one stored locally for their customers. I have two boys in diapers which means food stains/sour milk on clothes. Bosch should be buying us all new clothes since everyone's clothing has to sit still for over 2 weeks with stains settling in. And no, I don't have family nearby to just go do our laundry. Had to go to laundromat already which was VERY inconvenient and expensive at $3.75/load. Bosch is about as great as GM has been with cars-poor customer service, low-quality parts/defective equipment, and yet has the audacity to charge a pretty penny for their machines. We had a cheaper brand in our old house and NEVER had to have repairs. Bosch execs need to quit being so cheap and think about who BUYS their machines. We should not have had a failed part in under one year and when a part does fail, the customer should have the part by NEXT DAY mail. Obviously, the Bosch execs have their laundry cleaned by drycleaners or maids so why worry about the rest of us "regular" people? Your own technicians are making fun of you! Also, for anyone buying front loading machines, watch out for the Bosch dryer-the lint filter is SO sensitive that you can get an error message if you don't thoroughly wash it out. It collects a film on the 300 model that won't come off no matter what you use to clean it-and soap/water or mild cleansers do not work. Front loaders are being made like computerized cars, everything is under "sensing" which causes unnecessary error messages. Again, like cars, you can't just open the hood and fix the parts yourself, you have to wait for the Tech (like a dealership shop) to disconnect the sensing parts so you can remove pieces. I watched the tech do his job (which he didn't prefer) and I could have EASILY fixed the problem but he said you can't cheat and make the machine work because if something goes wrong before the part arrives the customer would be at fault. A few months ago I posted wanting advice on what type of front loader washer to buy. Well, we ended up getting a Bosch. I LOVE IT. The savings are more than I originally thought. The most water it uses per load is 12 gallons, if I do an extra rinse. Most loads are 8 gallons. With my old washer it was 44-66 gallons. 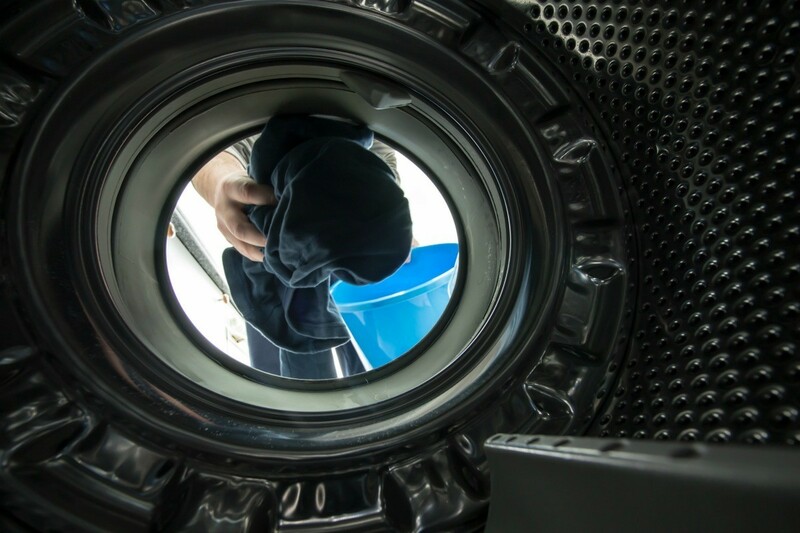 I see the savings in a much lower water bill as it not only uses less water, but has a bigger capacity than my old washer, so it does 75% more laundry per load. It also spins clothes out much dryer, so that it doesn't take them nearly as long to dry. It also only takes 2 tablespoons of detergent. My Front Loader Washer Repair Man said Front Loaders only need 1 Tbsp. per Load to wash effectively. He also highly recommended that you always use HE (high-efficiency) Laundry Detergents that are low-sudsing. I get my HE Detergents at Sam's Club. I've had my Front Loader Washer for years and wouldn't have anything else.